Never before than ever has there been a bigger demand for a college degree than today; most young citizens know this and take measures towards obtaining it. Unfortunately, for many, this goal can require taking up a life altering responsibility a loan. Recent years have shown a decline in the interest rates of these loans; getting as low as 3.86% and currently at 4.66%, for undergraduates. But, for people who signed the deed prior to 2008-09 term, the punishment for paying a 6% or higher rate still prevails. Understanding student loans can be tricky. If not handled properly, it can result in severe long lasting consequences. 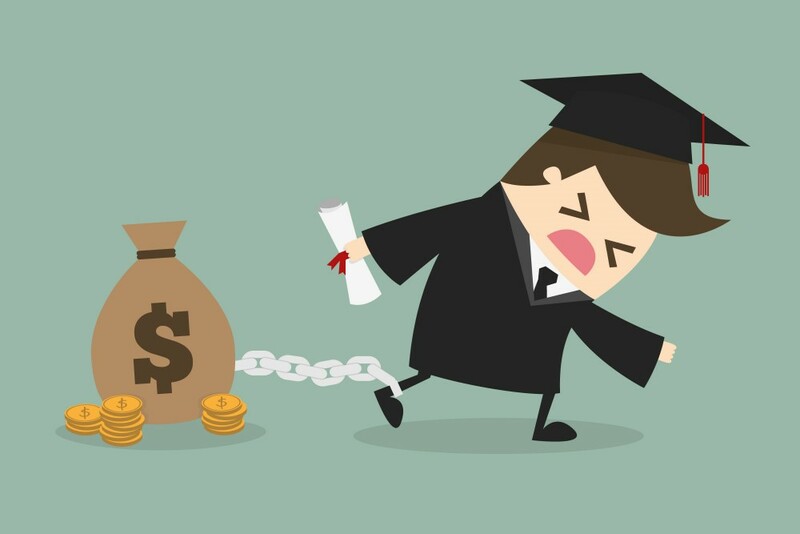 Here are some few ideas and tips to keep in mind to help you loosen your student loans noose. Once your grace period has expired, paying back your debt must become one of your top priorities; along of course with saving for your future. You must never, at any cost, be in a situation where you couldn't find the funds to pay for your monthly payment. A tardy on your payment will lower your credit score and negatively impact your credit history. One of the best ways to handle this situation is by having your lender automatically take out the money from your bank account. This is especially beneficial for those with unorganized lifestyles. Plus, this will allow you to budget your spending with the remaining funds around the payment instead of the other way around. Note* For the sake of stating the obvious make sure your accounts have the appropriate balances before the key date arrives; perhaps this practice will also sharpen your finance handling skills. The key to successfully tackling a loan is to pay as less interest as possible; unfortunately, banks do not want you to do this and therefore hardly ever encourage this next idea: pay more than the minimum. As obvious as it may seem, many people fall into this habit and pick convenience over a practical solution. You should be aware that, aside from the subsidized loans, most other loans are holding a tab (pre-graduation) for the interest you are not paying (if you are not) and plan on adding it to your final balance once you've graduated. Therefore, it is best to start paying your loans while you are still in college; not only should you cover the interest, but also pay towards the principle if possible. Once you've graduated and the grace period has ended, hopefully you will come across a wonderful job that will help you stay on track with payment. When the time comes, you should do your best to not only pay the required, but to also find way to allocate more funds to the payment; remember, the more you pay, the less money you will have to spend on the overall interest. It could beneficial to research programs that can help you with your student loan. A great place to start would be by talking to your employer or the Human Resources (HR) to see if the company has such programs. Most government employees can get a significant help for this. Branches of military also have repayment plans. Another example; for nurses, there is the Nursing Education Loan Repayment Program. There are also a few programs set up for teachers and for public service employees. At the end of the day, it's just a matter of asking. Volunteering for programs like AmeriCorps, Peace Corps, and VISTA and countless other (non-profit) organizations can also help you meet your purpose. • "Your filing status is any filing status except married filing separately. • No one else is claiming an exemption for you on his or her tax return. • You are legally obligated to pay interest on a qualified student loan. Also, try to use all, or at least a good portion, of your tax returns towards paying your debt. If you are struggling very hard to meet your payments, then perhaps consolidating your loan might help you bring some relief. Consolidation is simply another word for refinancing; in this process, you close the old loan by signing up for a new one with (preferably) a lower rate. Those that still have a long time to go and are stuck paying a huge interest rate can very easily benefit from this. For those that are struggling to pay the monthly payment will can have smaller payments (it's granted that their term has been extended also), but for those that can meet their ends already, you can now reap the reward of the low interest rate and by continuing to pay the original amount, you will shorten the length of your term and your overall interest balance. We would like you to voice your experiences and opinions on (handling) student debts. Please do so with a comment below.